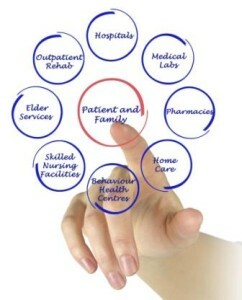 EngagingPatients.org Patient-Centered Care: A Win for the Business, A Win for Patients - Welcome to EngagingPatients.org! Improving the patient-centeredness of healthcare is “the right thing to do.” That being said, it also happens to make great business sense. A spotlight has been placed on patient-centered care, patient experience, and patient engagement under the Affordable Care Act (ACA) of 2010. The law sets forth financial incentives and penalties for providers and organizations that do not meet certain benchmarks that are commonly used (whether the measurement tools are appropriate is another topic for another day!) to measure patient experience. Often, the terms ‘patient-centered care’ and ‘patient experience’ conjure up thoughts about the soft stuff – amenities (food, parking, wait times, way-finding…) or the need for clinicians to spend more time face-to-face speaking with patients. Patient experience is about the amenities – but much, much more. It is also about patient safety. It’s about breaking down silos that prevent coordinated, effective and timely diagnosis and treatment. Moreover, it’s about improving efficiency, creating effective patient education and preventing unnecessary readmissions. Over the past 10-15 years, clinicians and healthcare organizations have been spending a great deal of time and effort, with the best of intentions, to improve safety, quality, experience, and costs. Yet, progress has been slow. However, more and more providers are finding that by employing the Patient and Family Centered Care Methodology and Practice (PFCC M/P), they can improve outcomes and experiences, and lowers costs. A six-step approach that is simple to learn and implement, the value of the PFCC M/P has been shown in over a dozen peer-reviewed scholarly publications. Importantly, it has proven to be replicable, sustainable (continuity is built into the six steps), and it makes good business sense. Development of a Hydration Fact Sheet (with input from patients and families. Distribution of “calibrated” water bottles. This PFCC Working group also increased their focus on the other common complications that result in readmission within 30 days after bariatric surgery — wound infection, pain, vitamin deficiency, weight gain and deep vein thrombosis. The improved patient education program increased collaboration between inpatient and outpatient clinical teams and disciplines as well as collaboration with other Bariatrics programs in the same health system. Post-implementation results were significant. Readmissions within 30 days were reduced from an average of 9.5 per month to 1 per month in the initial 22 patient intervention group; these results have been sustained. Decreasing readmissions has ramifications for decreased infections and other clinical outcomes that further reduce the cost of care as well. It’s been a win-win. The hospital has been able to avoid the financial hit for unnecessary readmissions and the patients and families are able to return to pre-surgical levels of activity and work sooner. There are many examples of how the PFCC M/P improves outcomes and experiences and lowers costs. It’s been successfully implemented in areas as diverse as trauma, outpatient mental health services, oncology, home health care, total joint replacement and more. So it turns out that doing the right thing aligns perfectly with the business case for patient- and family-centered care. Editor’s note: For an overview of the six-step PFCC Methodology and Practice, download our infographic. For more detailed information, contact Pam Greenhouse at greenhousepk@upmc.edu or visit the PFCC website.